Cape Town - Kaizer Chiefs failed to break down Polokwane City as they were held to a goalless draw at the Peter Mokaba Stadium on Tuesday. Chiefs started shakily and were close to going behind in the early exchanges as Thabiso Semenya's cross from the right almost snuck in at the far post, with Itumeleng Khune beaten. In the 17th minute Chiefs thought they had come close to scoring the opening goal, as Joseph Molangoane's cross picked out Bernard Parker, though George Chigova made a superb save. However, it would not have counted as the striker was ruled offside. 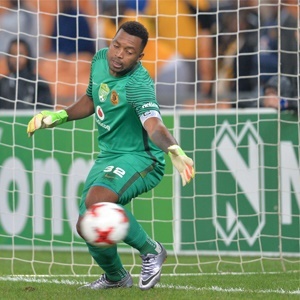 Two minutes later Khune spilled a corner but was fortunate not to be punished by City's attack. Hendrick Ekstein then went up the other end of the field with a trademark driving run from midfield, but his strike from outside the area was deflected into the hands of Chigova. It was turning into a contest full of action as Rodney Ramagalela then tested Amakhosi's number one again with a rasping drive, though Khune was sharp in making a diving save. After the break, Rise and Shine missed a glorious chance to score as a Jabu Maluleke's header was parried by Khune, however, Redani Ndou missed the target from the rebound with the goal gaping. Just before the hour mark, Parker also missed a good chance for the visitors. With under 20 minutes to go Chiefs threatened again as Daniel Cardoso met Siphiwe Tshabalala's cross but headed it straight at Chigova. In the 76th minute, the Glamour Boys were inches away from taking the lead when Molangoane crossed for Tshabalala, but his volley smashed into the post. Moments later, substitute Dumisani Zuma smashed a strike just wide as the visitors began to increase pressure on City's goal. However, they weren't able to make it pay as it ended 0-0 in Pietersburg.